This post was created in partnership with Dove. All opinions are my own. Hey, beauty lovers. We need to talk. If you are still using an ordinary bar soap in the shower, then you aren’t living your best life. How’s that for an intro to a post? I don’t mind spending money on luxury items when the price tag actually justifies the benefits. But you know what’s even better? Finding a top-rated Beauty Bar that feels luxurious but is priced right. When it comes to the beauty world, you don’t always have to settle for less. 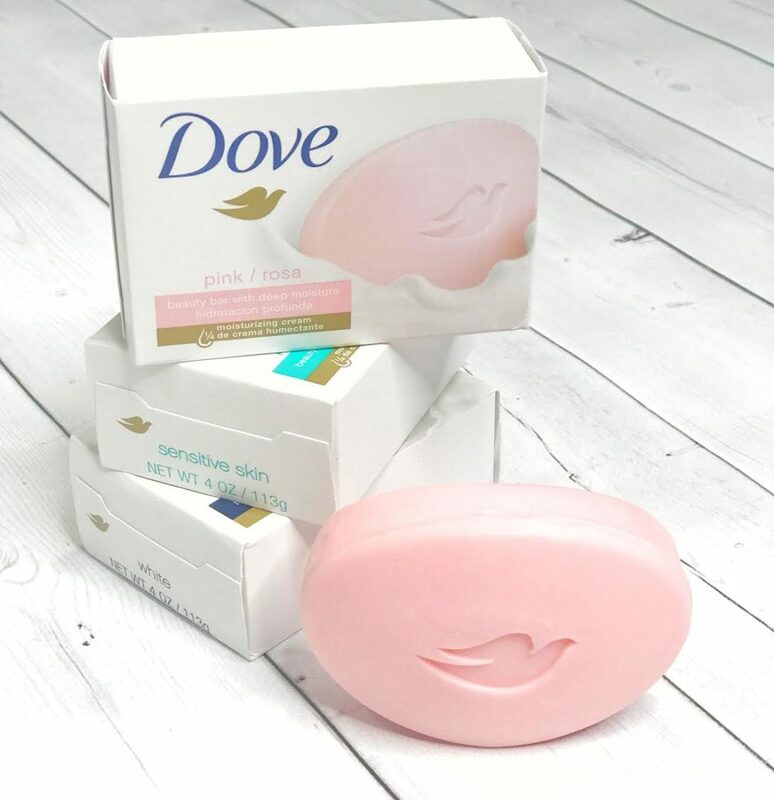 It’s time for you to trade up from your ordinary soap to Dove Bar, because it is cleaner rinsing than soap and nourishes your skin while you use it. The truth of the matter is when it comes to your skincare routine if you settle for less…you might not realize what you are compromising!! We all get into beauty ruts. It’s easy enough to do. Soap is soap is soap, right? Wrong. What you use to clean your face and body truly matters. It all starts during this stage. 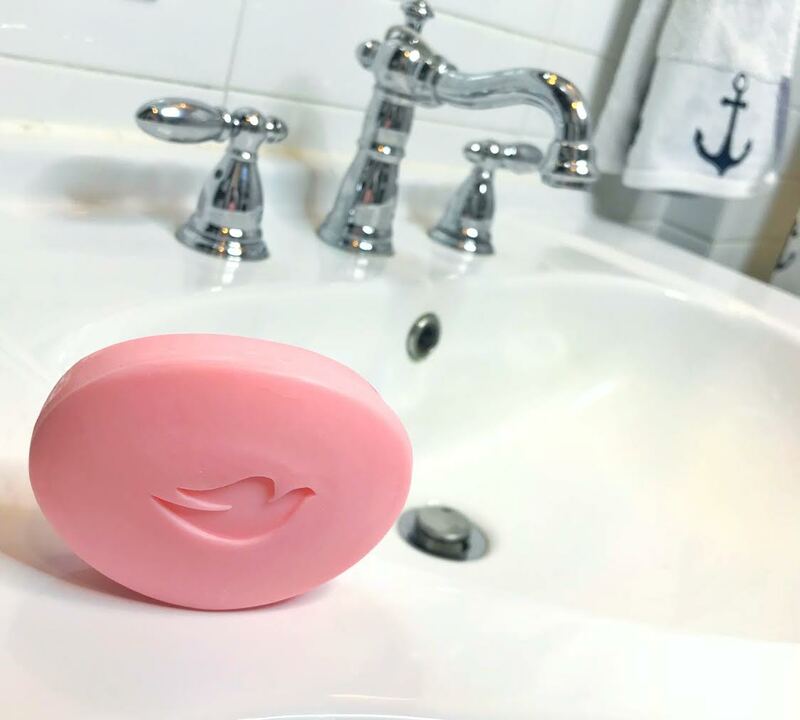 A recent Dove survey found that 86% of dermatologists report that the “squeaky clean” feeling means your skin might be stripped of the moisture and nutrients it needs. I could not BELIEVE that when I read it, because I typically LOOK for that squeaky clean feeling whenever I come out of the shower. Apparently, I’ve been doing a disservice to my skin all these years. Does this scenario sound familiar to you? 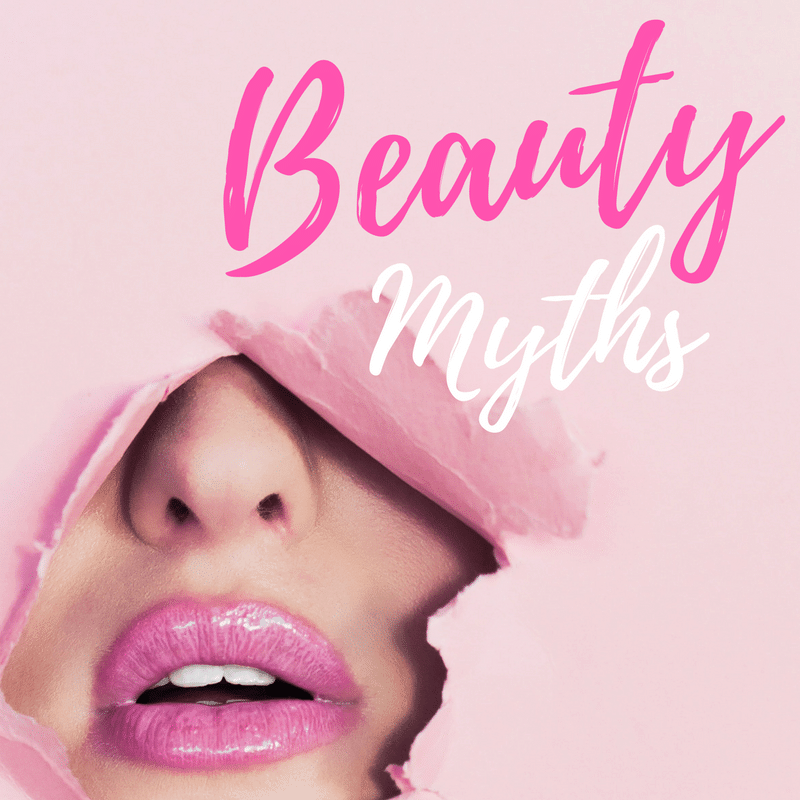 After talking to some professionals, I learned a few more beauty facts that I wanted to share. 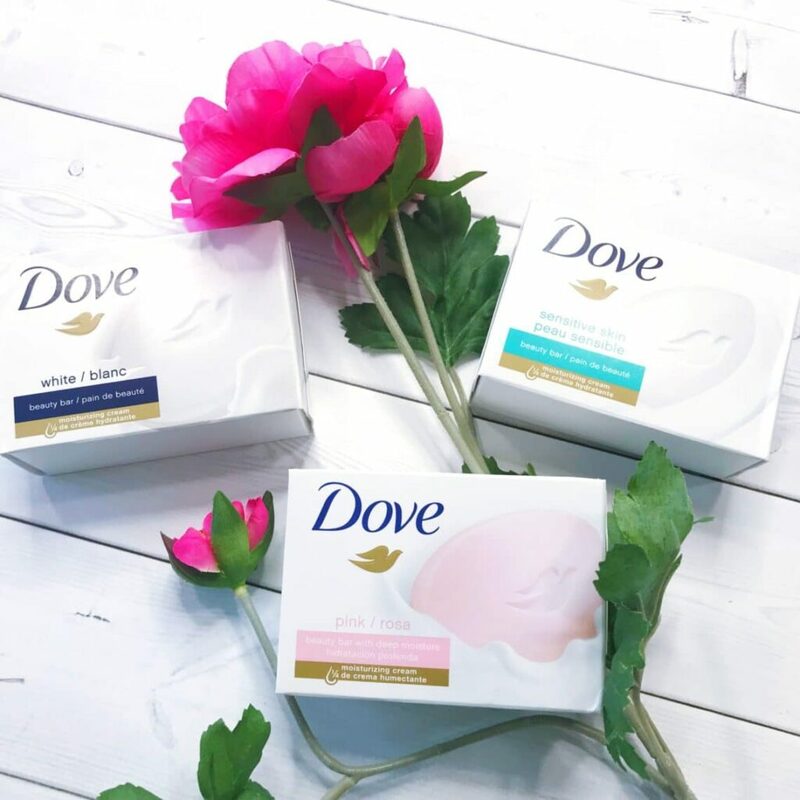 I’m thrilled to be working with Dove – which gently but effectively cleanses, leaving soft, smooth skin – to help bust some beauty myths that you might have been holding onto for the last few years. These myths are provided by Dove Dermatologist, Dr. Mona Gohara. Let’s get started. Hot water is best: Wave goodbye to those hot, long steamy showers: hot water can actually be bad for your skin. It can strip skin’s natural moisturizing oils, leaving it dry and sensitive. So, if you’ve been experiencing dry skin, stick to warm water in the shower and see if your skin starts feeling more hydrated. Rough scrubbing is effective: Dove Dermatologist partners report that women are often not kind to their skin in the shower, which can often become a place for harsh, regimented washing instead of a gentle, caring experience. Exfoliating is an important part of your skin cleansing routine, but it’s also important that you don’t overdo it. Harsh scrubs and loofahs can do more damage than good, so always use a light hand and be gentle with your skin. Also, look for a scrub that exfoliates and nourishes skin. Tight skin is normal: If your skin feels tight after washing, you’re using the wrong shower products. Dove doesn’t leave behind that dry, tight feeling that ordinary soaps can, which can be a sign of dry skin damage. You don’t need to moisturize oily skin: This is a big misconception. Whatever your skin type, it always needs hydration in order for it to stay looking healthy. The Dove Beauty Bar is formulated with the brand’s signature ¼ moisturizing cream with skin-natural lipids to help replenish nutrients lost during the cleansing process and leave skin feeling soft and smooth. 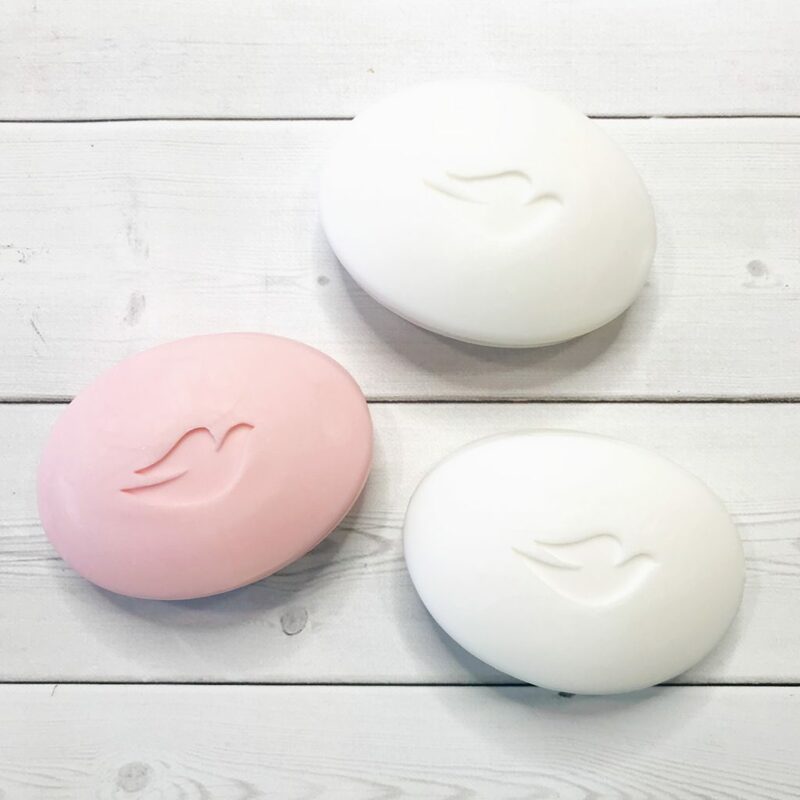 Unlike basic soap bars, Dove Beauty Bar gently but effectively cleanses, leaving soft, smooth skin. How does it work? Their signature ¼ moisturizing cream with skin-natural lipids helps replenish nutrients lost during the cleansing process. There is a hard and fast beauty rule that I always love to follow. Once you take something away, you have to give back. So, for example, if you exfoliate then you must moisturize. If you extract, you must apply products to calm down sensitive skin. If you do a peel, then a mask might be a good idea as a follow-up step. Give and take. Well, Dove Beauty Bar is truly a 2-in-1 because while it cleanses, it also nourishes your skin. It already has the “give back” step in play. I love that! As a busy mom, it’s very appreciated. We are so rough on ourselves, aren’t we? When it comes to our skin, it’s time to slow down, think about what kind of products we are bringing into our homes, and allow ourselves to enjoy the process. Now that we have officially entered spring, why not take a look at our beauty routine and see where we can improve it? You don’t need to use harsh products and over scrub your delicate skin. You need a Beauty Bar that helps nourish the skin while it cleans. 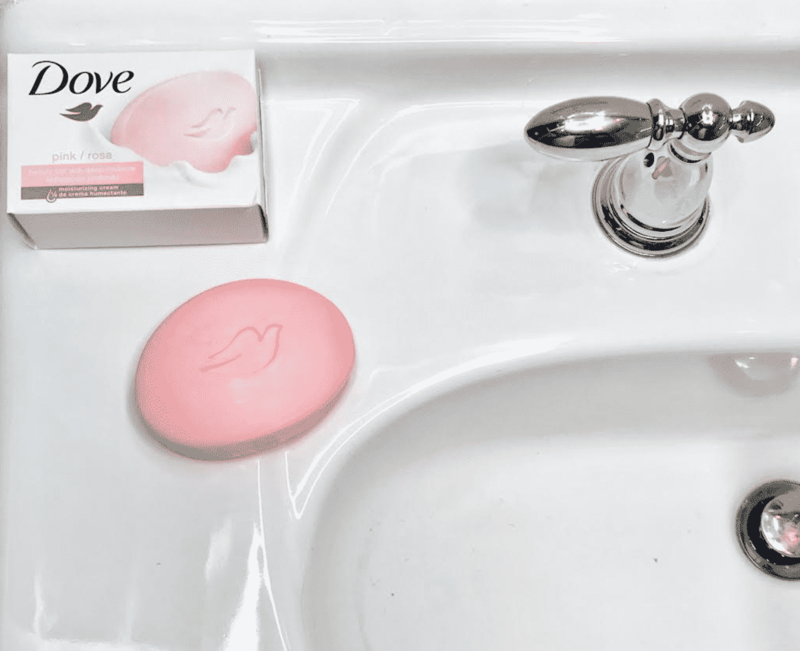 Dove cleans beautifully and won’t strip away skin’s moisture like soap can. It’s no surprise that Dove is the #1 Dermatologist recommended Bar!! The iconic Dove Beauty Bar, with its superior, mild formula, has remained essentially unchanged since its launch in 1957 providing the same great care and beauty benefits to women for more than 60 years. You know what that old saying is – if it isn’t broke, then don’t fix it! My mother used Dove. My grandmother used Dove. Now, I teach my children to do the same by keeping these products stocked up and readily available in our bathrooms. Remember, Dove doesn’t leave behind that dry, tight feeling that ordinary soaps can, which can be a sign of dry skin damage. Today is the day to make the change and to give your skin the treatment that it deserves. Previous Post: « Starbucks Crystal Ball Frappuccino Review: What Did The Drink Taste Like? I have always loved Dove products. I have sensitive skin and it’s the only brand that doesn’t irritate my skin. Dove bars are my absolutely favorite! I’ve been using them for years and will never switch to anything else! I have been a Dove fan for many years. It’s one of the few brands that doesn’t dry out my skin. And, it smells amazing! It’s one of my favorite scents to this day! I love a good skin product. It’s great that their product is so good that it’s virtually remained unchanged. These are really helpful tips! I’ve been using Dove bar soap ever since, but I didn’t know these beauty myths I was doing! Thanks for your awesome beauty tips! I love the way Dove bars leave my skin supple and moisturized. As often as I take showers, I know my skin needs Dove so that I won’t end up with dry scaly skin. Dove bars are amazing! I’ve been using them for years and will never switch to anything else! My family loves using Dove. It makes our skin feel soft and smooth, and the scents are so soothing. Hydration is key for our family’s skin, and Dove helps with this issue, too. Dove is the best! I’ve been using their products for years. I don’t think I have anything in my bathroom that isn’t Dove. Dove is always amazing. It always smells so good and just brings a cheer to me when I use it that is indescribable! Unfortunately I have never been able to give up super steamy hot showers, they are so great to unwind after a long day! I have sensitive and acne prone skin so finding skincare that works well for me has always been a challenge. That review was so helpful. I have oily skin and never thought I needed to moisturize so I need to use Dove and change my ways. I trust dermatologists when it comes to my skin. Dove is a brand that has been around a long long time and one that can be trusted. My mom uses this brand. I love how you debunk the myth of needing to moisturize oily skin. Dove is one of my favorite soaps, especially as I get a little older. I can really feel the difference! These tips she shared were helpful! Dove is a fave soap of mine too! I need to remember the truth behind those showering myths! I definitely want to be gentler to my skin and leave it nourished after each shower. I have used Dove products for years and absolutely love them. My husband loves the bar soap and I love the body wash. Thanks for all of the info regarding skin care! Pink Dove smells so good! I love the scent and the way it really softens my skin. I have to admit I love Dove, they really do some of the best products on the market that are kind and caring to your skin. Their deodorant has to be one of the best. I love my Dove bar. I have been using Dove products for years. With sensitive skin I have to be so careful with what I use. Dove never leaves me feeling dry and itchy. We have Dove in our bathroom right now. I use their deodorant every day, too! I have been a Dove user since as a child, my mother loves it too so it’s the soap bar we have around growing up. I love it until now and they’re so affordable too! I love the feeling of fresh skin. But that comes with moisture adding to my skin rather than other products drying it out. I love how Dove moisturizes my skin! 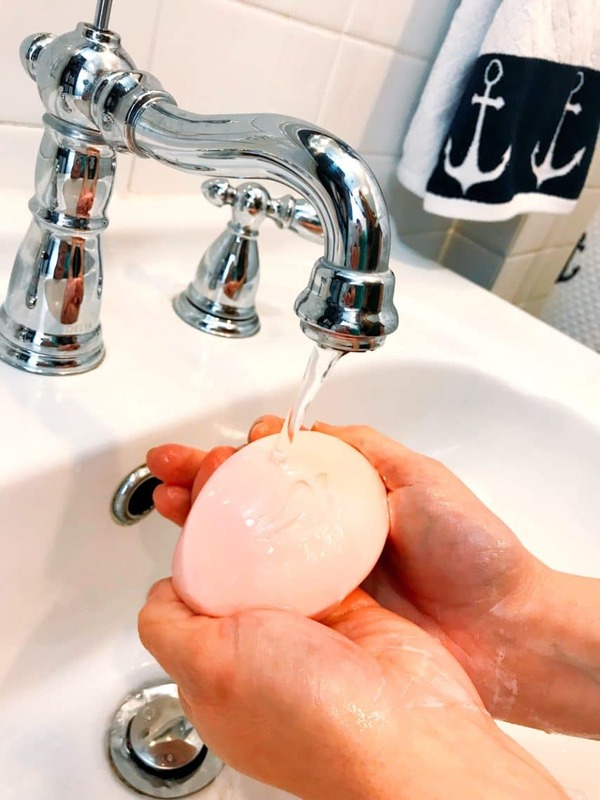 A favorite part of my skincare routine! I’m such a huge Dove fan! I love the way it makes my skin feels and it smells amazing. I love Dove. It is my preferred brand and I have been using it for years. It is the one soap that doesn’t irritate my skin. I love using Dove. It is the only soap I use because everything else seems to make me break out, this stuff is great!